The story of the girl who lived in rags by day but in a ball gown by night (thanks to the help of a fairy godmother) would not be complete without her iconic footwear. 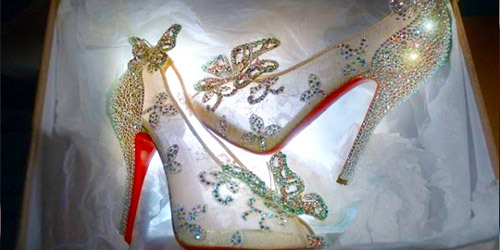 Putting a modern twist on the beloved fairytale, world-renowned shoe designer Christian Louboutin brought Cinderella’s glass slippers to life, allowing girls to feel like real-life princesses. With crystal butterflies, endless sparkles, and the signature red soles, the special edition Cinderella-inspired heels are a work of art. And a pair of these luxurious shoes landed at the TIFF Bell Lightbox on September 27 as the prize for one Canadian girl. The Toronto Star held a contest looking for girls who dreamt of getting a taste of being treated like royalty. 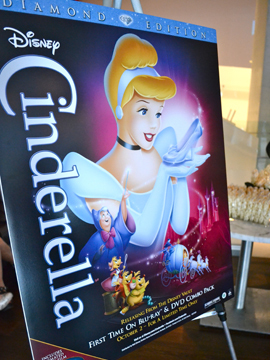 In partnership with Disney and the release of the Cinderella: Diamond Edition DVD, a special event and screening were held, hosted by fashion mogul Jeanne Beker. The three finalists were brought up on stage and they each got to share why they would love the chance to own a pair of these exclusive shoes. 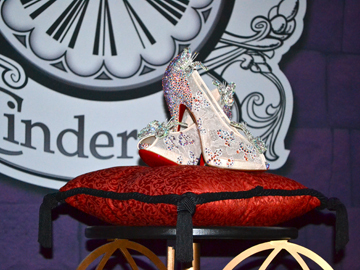 By the end of the evening, one lucky student from Toronto went home with her very own Cinderella slippers—there were only 20 of them made in the world! 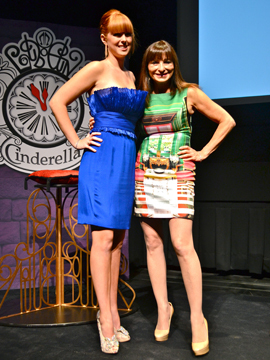 And with a Prince Charming right on stage to help her put them on, she got to show them off and take her first steps in the Swarovski-encrusted stilettos. It was such a fun event and the smile on the winner’s face really showed the joy that a new pair of shoes can bring. And with a pair like these, she’ll be able to feel like a modern-day Cinderella any day of the year! 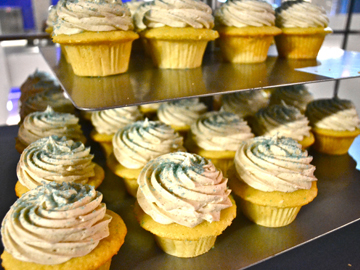 Cinderella cupcakes…is anyone else’s mouth watering?